The renovation and home improvement industry is extremely popular in Calgary. With the rise in home improvement shows and HGTV, more and more home and business owners have realized the value of investing in repairs and renovations. This has been great news in terms of additional handyman jobs in Calgary, Alberta. The boost has created more work, but it has also increased the number of skilled trades professionals entering the industry, creating a competitive landscape. If you are a Calgary handyman and are looking for a great source of handyman jobs, we have you covered. MeetAHandyman.com gives you instant access to a large database of jobs available in Calgary and the surrounding area. Whether you are looking for commercial or residential handyman jobs or offer specialized services such as home renovations, basements, roofing repairs, fencing and decking, energy efficiency or even general handyman services, we are your one stop shop for handyman jobs in Calgary. All you need to do is visit our site and take a look at the Calgary jobs that have been posted by home and business owners. You can search by the services you offer and your areas of specialization. You can even search by keyword and neighborhoods within Calgary. If you see a job description that interests you, simply contact the client, discuss the project, and provide them with a quote. What makes our Calgary handyman job platform particularly attractive to handymen and skilled tradespeople is that you can create your own profile for FREE. This allows local Calgary residents to search for you – creating a passive way for you to find new handyman opportunities near you. 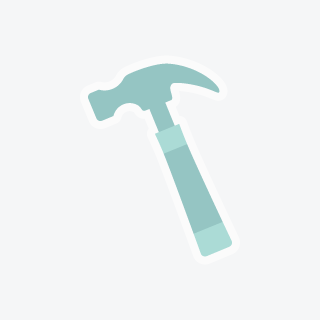 Search for Handyman Jobs in Calgary, Alberta Now! Even if you are a full-time contractor, picking up some extra work on the side is a great way to earn some extra income. Our database of handyman jobs is also a great source of opportunities for part-time or independent handymen. Get started with your search for Calgary, Alberta handyman jobs by browsing the jobs below. Set up your profile today! Locate and repair water leak in bathroom behind drywall and possibly redo bathroom floor, removing linoleum.Locate and repair water leak in bathroom behind drywall and possibly redo bathroom floor, removing linoleum.Locate and repair water leak in bathroom behind drywall and possibly redo bathroom floor, removing linoleum. Need someone to removed and then reinstall screen door. Job needs to be completed asap. Thank-you!! !Need someone to removed and then reinstall screen door. Job needs to be completed asap. Thank-you!! !Need someone to removed and then reinstall screen door. Job needs to be completed asap. Thank-you!!! Looking for someone to install a new door for my dad who is a senior on limited income. Pay negotiable.Looking for someone to install a new door for my dad who is a senior on limited income. Pay negotiable.Looking for someone to install a new door for my dad who is a senior on limited income. Pay negotiable. Top Gun Construction...crooks!Top Gun Construction...crooks!Top Gun Construction...crooks!Top Gun Construction...crooks! Bob from Top Gun Construction is a crook! He took our deposit and ran!!! Don't hire him for anything.Bob from Top Gun Construction is a crook! He took our deposit and ran!!! Don't hire him for anything.Bob from Top Gun Construction is a crook! He took our deposit and ran!!! Don't hire him for anything. for an individual lady who is 49 years old and is a stroke victim. if you are able to help out let us know.for an individual lady who is 49 years old and is a stroke victim. if you are able to help out let us know.for an individual lady who is 49 years old and is a stroke victim. if you are able to help out let us know. We have rental property in Calgary but do not live there. We often need someone for repairs and maintenance.We have rental property in Calgary but do not live there. We often need someone for repairs and maintenance.We have rental property in Calgary but do not live there. We often need someone for repairs and maintenance. Irish Cultural Society Calgary - Repair Works?Irish Cultural Society Calgary - Repair Works?Irish Cultural Society Calgary - Repair Works?Irish Cultural Society Calgary - Repair Works?